Cybercrime is becoming ever more serious. 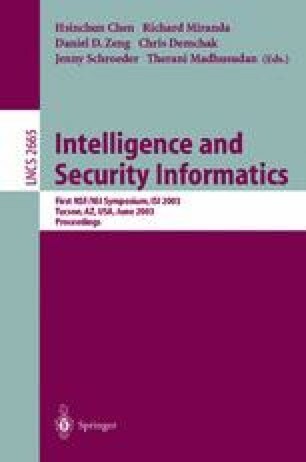 Findings from the 2002 Computer Crime and Security Survey show an upward trend that demonstrates a need for a timely review of existing approaches to fighting this new phenomenon in the information age. In this paper, we provide an overview of cybercrime and present an international perspective on fighting cybercrime. We review current status of fighting cybercrime in different countries, which rely on legal, organizational, and technological approaches, and recommend four directions for governments, lawmakers, intelligence and law enforcement agencies, and researchers to combat cybercrime. Freeh, L.J. Statement for the Record of Louis J. Freeh, Director, Federal Bureau of Investigation on Cybercrime Before the Senate Committee on Judiciary Subcommittee for the Technology, Terrorism, and Government Information, U.S. Department of Justice, http://www.usdoj.gov/criminal/cybercrime/freeh328.htm, 2000. Smith, S.P., Perrit, H., Krent, H. and Mencik, S. Independent Technical Review of the Carnivore System, http://www.usdoj.gov/jmd/publications/carniv_final.pdf, 2000.